It is easy to grow the Kalanchoe chandelier plant — so easy, in fact, you have to learn to control its spread as a part of caring for chandelier plants. 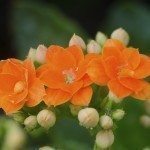 Growing Kalanchoe delagoensis can be worth all this trouble when you learn how to keep it under control, especially when the orange blooms appear. Kalanchoe delagoensis, also known as Kalanchoe chandelier or mother of millions (and is often confused with mother of thousands, Kalanchoe daigremontiana), is an upright succulent with creeping tendrils bunching together on a single stem. This offers an unusual effect in the container or even in a portion of the sunny garden. Kalanchoe chandelier is hardy in drought stricken, desert areas where thriving plant life may be limited. This Kalanchoe species can exist on limited seasonal rainfall, storing water for existence due to succulent capabilities. Chandelier plant care often includes removing small plants that have jumped from the container into the ground or another pot. This happens because Kalanchoe chandelier forms small plantlets at the ends of the leaves. When these are dislodged, they immediately take root and begin growing in any available soil. Removing them from unwanted areas is an integral part of caring for chandelier plants. Propagating Kalanchoe delagoensis is simple. In the event you don’t have more new starts than you need, new plants can be easily started from almost any part of the mother plant. A danger when growing Kalanchoe chandelier is primarily to pets and wildlife because of toxins, called bufadienolides, that can cause heart failure when ingested. Animals not accustomed to the specimen may not realize the potential danger and test the plant for its culinary properties. Some gardeners find the attractive, orange blossoms worth the risk. If you choose to grow this unusual plant in a container or as part of an outdoor display, keep it out of reach of your pets or behind a small fence to discourage harm to your animals and visiting wildlife. 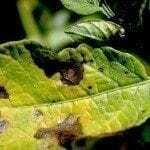 When not properly kept under control, this plant can quickly become invasive in southern parts of the United States and more southern areas, taking area that should be left for native plants. The responsible gardener will practice appropriate chandelier plant care when choosing to grow this specimen. Container growing is often the safest and easiest way to grow this plant. Now that you’ve learned how to grow this Kalanchoe and how to keep it in bounds and under control, make an informed decision before adding it to your landscape.